When you do protective styles such as braidouts, twistouts, fexirods and what not, you usually want a product that can hold the curl in place and give you the possibility to wear the hairstyle for a few days before having to wash it. I don't like using hair gels because I think my hair looks a bit strange afterwards, so I usually opt for curling creams or puddings. 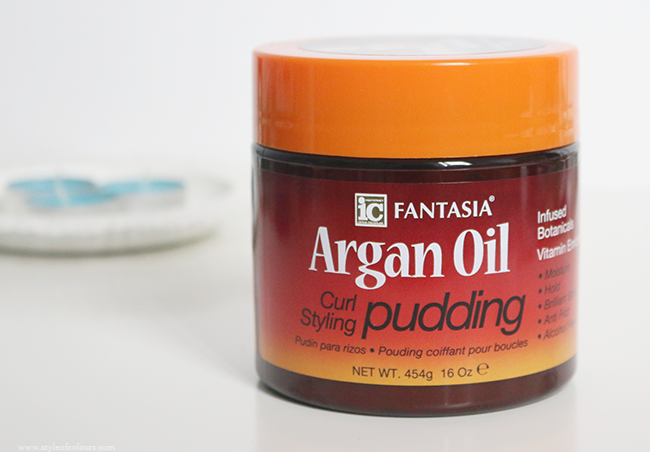 Lately, I've been using the Fantasia Argan Oil Curl Pudding* for most of my hairstyles and thought I'd share my thoughts on it. I picked up this product because I was running out of the Texture My Way Keep It Curly Ultra Defining Curl Pudding and went to pick it up again, but La Bella Cosmetics ended up being out of stock. So since I'm such a huge fan of argan oil, this was my next pick. 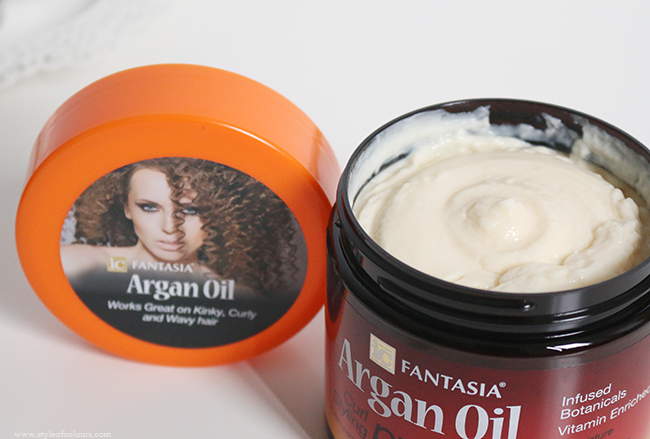 The Fantasia Argan Oil Curl Styling pudding contains argan oil as well as Mango, Aloe Vera, Slippery Elm, Horsetail and other extracts. It has a jelly like consistency which gives your hair a nice hold and leaves it moisturized. What I didn't like straight away was that it doesn't smell good, which may not be the most important thing but I prefer my hair products to smell fruity/floral or something similar. I usually use this product for braidouts. I apply it on damp hair and sleep with my braids in. It leaves my hair looking great and holds the style in place for days without looking dry. In my First Attempt At Flexi Rods video, I tried using this product for my flexi rods. It left me with very defined curls which were a bit crunchy but not too stiff and that was fine for me. But then I noticed that I had white chunks sitting on my hair which looked horrible and I had to get them out with water. This may have been because I did the flexi rods on dry hair, or maybe I used too much product. Either way, I believe you will achieve the best results with this product when using it on damp hair. I also occasionally use this product to tame my edges, as it does the job perfectly. 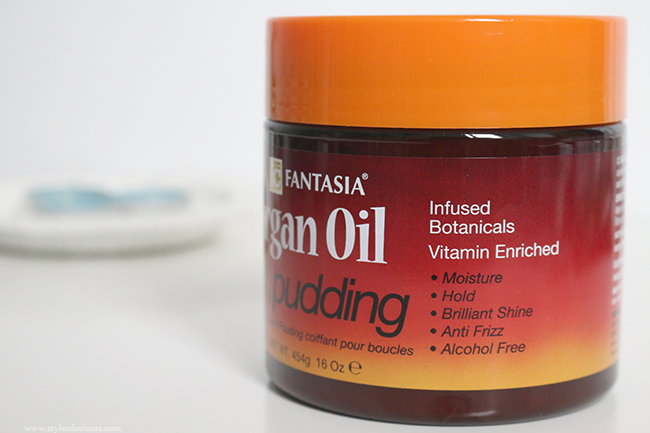 What is your favourite curling cream/pudding?